‘Plaid shirt guy’ thinks he was kicked from Trump rally for not being excited enough. 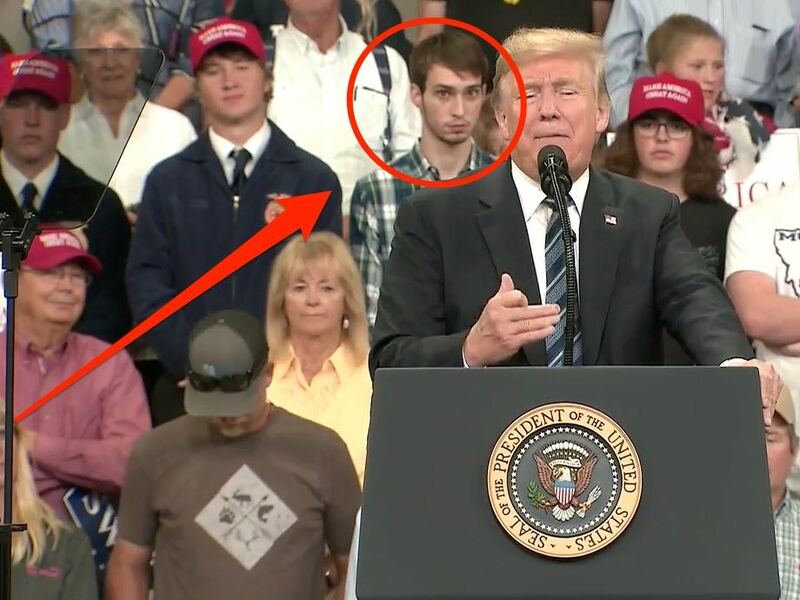 The high school student who went viral for making faces behind President Donald Trump during a rally in Montana Thursday thinks he was kicked out of the event for not being “enthusiastic” enough. He said no one specifically told him why he was being kicked out, but he suspects he wasn’t showing the proper amount of excitement during Trump’s speech. He said he wasn’t there to cause a scene. He just wanted to see the president and hear his speech. “I mean I’m not going to pass up the opportunity to see the president of the United States,” he said.